Guys, I realize that’s some pretty braggy (that’s an official word today) language. Trust me, it’s not a term I wave around frequently, although I’m pretty sure that pumpkin spice latte needs a “best” label. Definitely in the bestest (also an official word today) ever category! Brace yourself, friend! 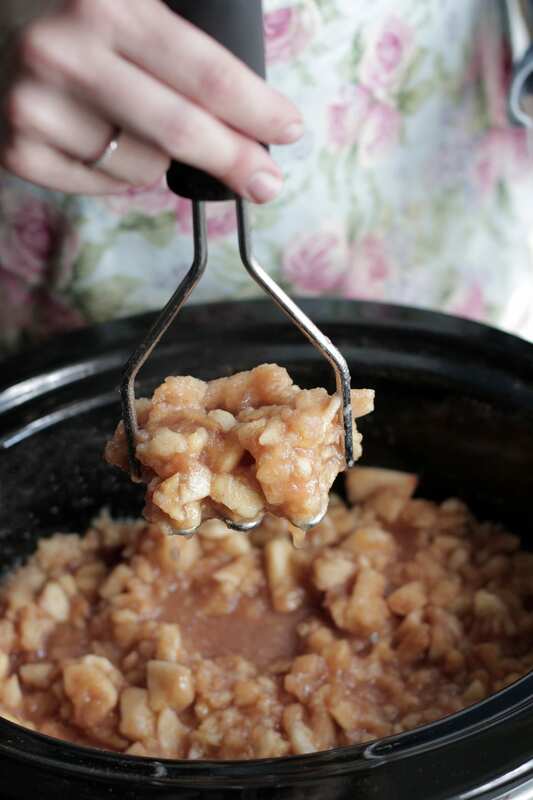 Today’s recipe is truly the best homemade applesauce ever. 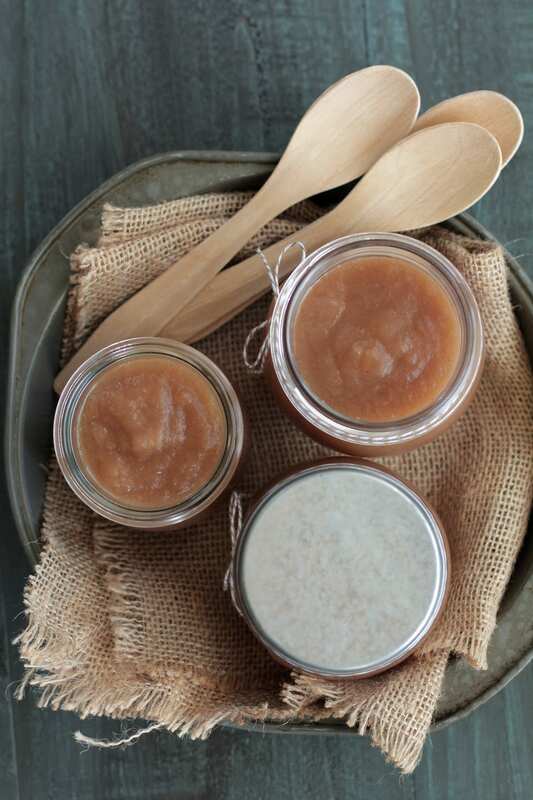 Plus, the fact that all the hard work is done in the slow-cooker (or crock-pot, whichever term you go with), makes this applesauce not only the best, but also the simplest, easiest homemade applesauce ever! Okay, let’s put the bragging aside. The bottom line is: you need to make this applesauce! This isn’t a suggestion, it’s a must! If you’ve read my book, Real Food Planning Challenge, then you know based on the What to Buy vs. What to Make printable chart (page 92) that I recommend buying applesauce. Homemade applesauce is not very cost or time efficient compared to the many other tasks I need to accomplish in my kitchen. It’s not on my priority list, so the majority of time, if we want applesauce, I buy a good organic brand (which can be expensive at $3.99-4.99 for jar). While I recommend buying applesauce, I’m also a huge advocate for eating seasonally and stockpiling seasonal foods in a practical way. My pantry isn’t overflowing with seasonal veggies and fruits, but I try my best to take advantage of nature’s bounty and freeze seasonal surplus, or at least enjoy as much as possible throughout the season. In the fall, apples are plentiful and cheap. It’s their time to shine along with over twenty other fruits and veggies. 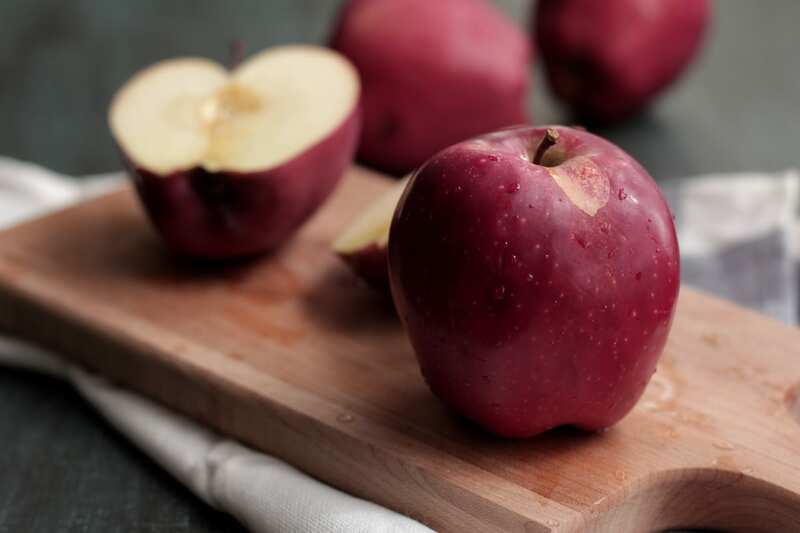 Apples hit a rock bottom price in their peak season which makes them affordable and nourishing. 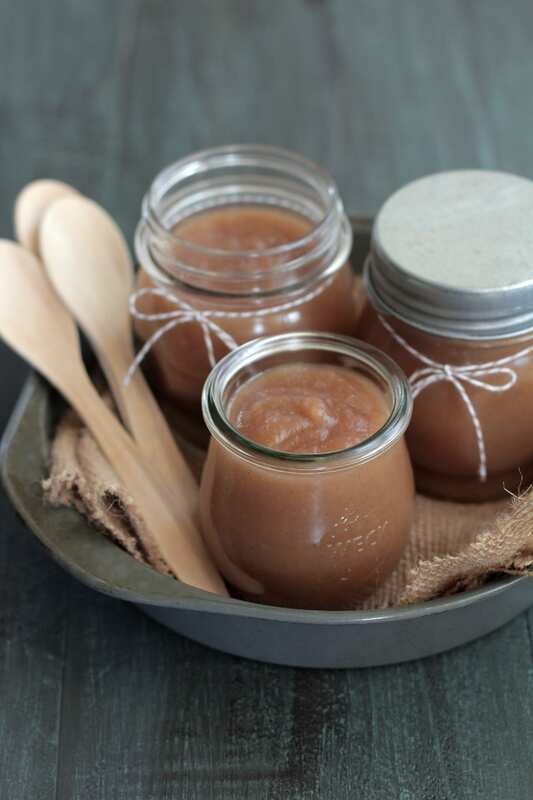 So each year in the fall, I forget my applesauce-buying ways and embrace homemade applesauce. Note: You can find a huge printable list of seasonal fruits and veggies for all the seasons in my book on page 84. In order to make homemade applesauce worth the little bit of effort involved, it’s important to use a lot of apples! In fact, the more apples the merrier. I freeze extra homemade applesauce and enjoy the surplus for baking, snacking, mixed with yogurt, poured over the top of pastured pork chops, and spooned over pancakes and waffles. 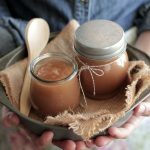 Before we proceed, I’ll warn you, homemade applesauce is simply amazing, “the best.” It’s hard to go back to anything else once the last jar in the freezer is consumed. Even if you’re not an applesauce fan, I beg you in the name of the goodness of fall, to try making a batch of homemade applesauce. I promise, you won’t regret it! 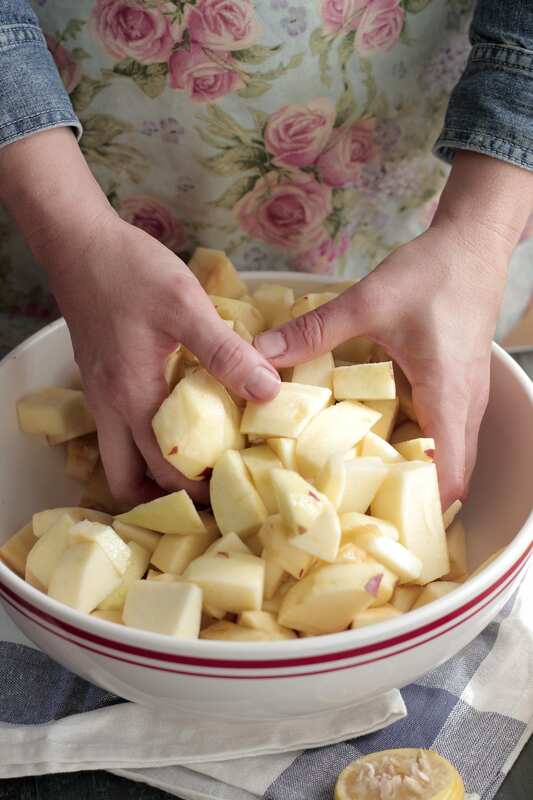 Peel the apples and chop into small-medium equal size pieces. Place all the apples in a large bowl or the base of your slow-cooker with the heat turned off. Squeeze the lemon juice from the two lemons over the top of the apples. Toss the apples in the lemon juice. 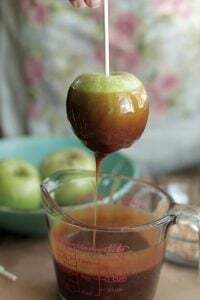 Sprinkle the cinnamon and honey over the top of the apples, along with the water. 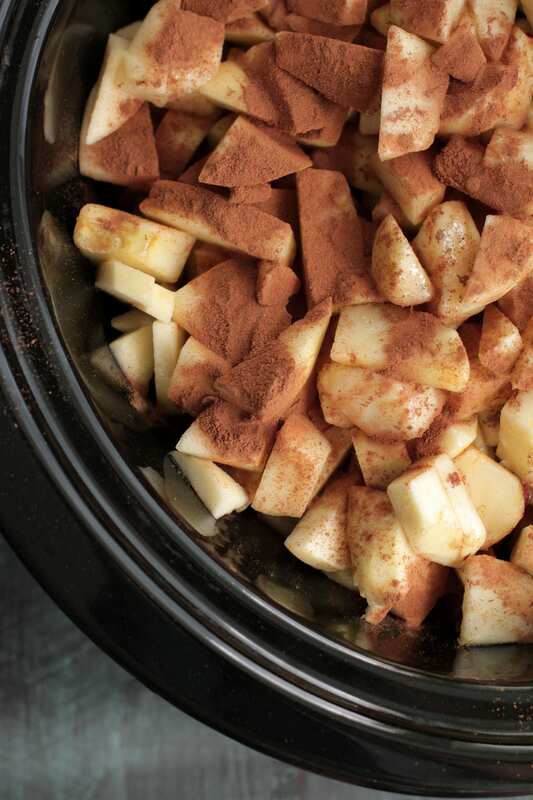 Turn the slow-cooker on high and let the apples cook for 3 hours. You'll need to come back in an hour and a half to stir and mash the apples. Note: If you don’t like cinnamon you can leave it out or reduce the amount called for in this recipe. After an hour and half of cooking, stir the apples with a wooden spoon and then mash the apples with a potato masher. This will take about 2 minutes. The apples will still be chunky and a bit hard. Return the lid to the slow-cooker and allow the apples to finish cooking for an hour and a half. Now it's time to make the applesauce. After three hours of cooking your apples are ready to meet their final destiny! Puree the apples with an immersion blender. Blend the apples until you reach the desired consistency. For me, this means a super smooth store-like applesauce. 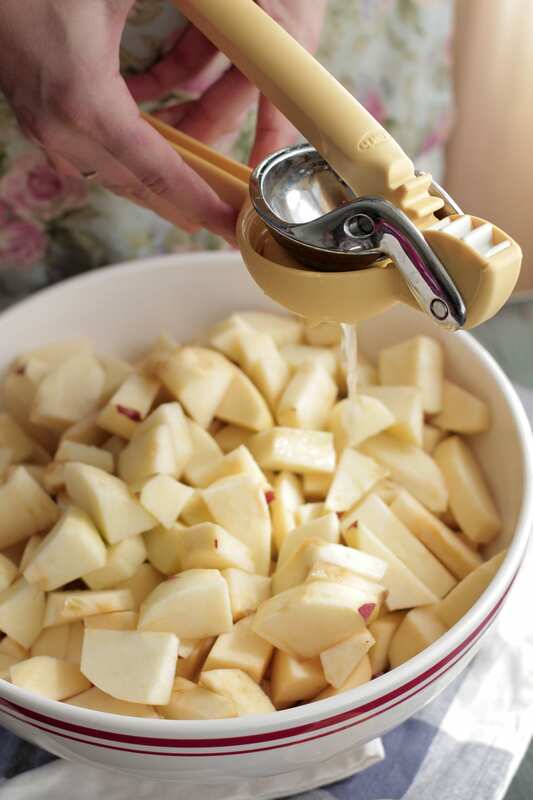 Note: I peeled and chopped the apples by hand this year because I couldn’t find my apple peeler, but if you have one (like this) I highly recommend using it! Note: An immersion blender (like this) is the trick to creating an applesauce that’s creamy and smooth! You can also use your immersion blender to make creamy soups, bean burritos, and lattes. This recipe makes 5 cups of creamy homemade applesauce. You can easily double this recipe if you have a slow-cooker large enough to handle the extra apples. Homemade applesauce will keep in the freezer for 12 months (when stored in freezer-safe containers). 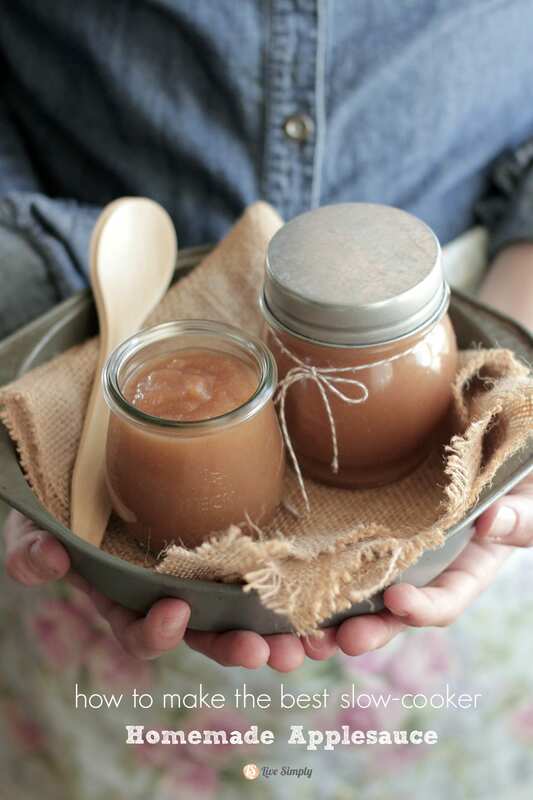 Keep homemade applesauce in the fridge for up to 2 weeks. 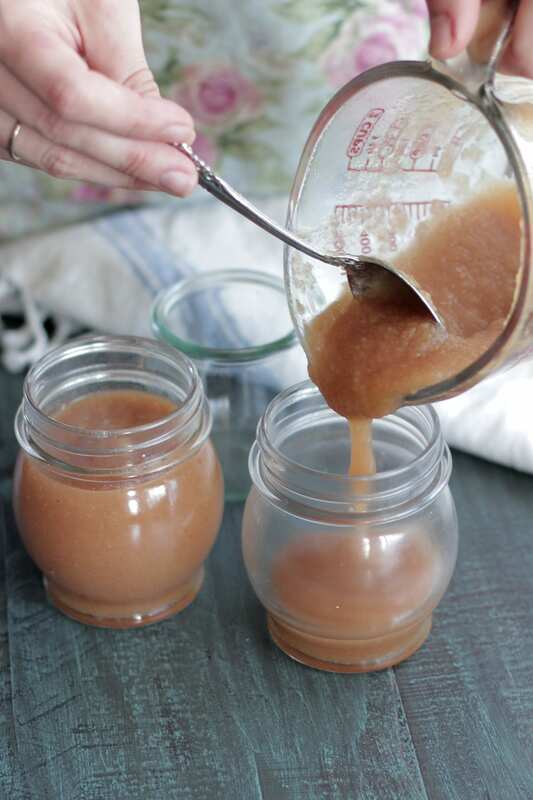 The jars pictured in your homemade applesauce post are lovely. Where are they from? Thank you. Hey Sunner, Thank you. The jars are called Weck Jars. I absolutely love them. Amazon carries them along with the actual Weck website. can you hot water bath this? Hey Brandi, This recipe is perfect for hot water bath canning! When I make applesauce I don’t add and sugar or lemon juice. If I have my food mill I was ,quarter add to the pot and add just enough water to cook them. Then I run it through my food mill. Done its pretty pink and if its not sweet enough then Ill sweeten it but usally its plenty sweet. I f I don’t have my food mill then Ill core them (after washing them) and do as I would for the food mill but instead of putting through the food mill I use the pasta strainer and push it through into a bowl. It comes out just as smooth as if you use the food mill. The strainer collects the peelings and you just throw them out. i have been doing it this way for years and works great. Sounds like a great method, JoAnne! Thank you for sharing!! I also use the quarter, cook, thru the food mill for applesauce. The recipe ingredients you listed is what I use if I am feeling fancy. 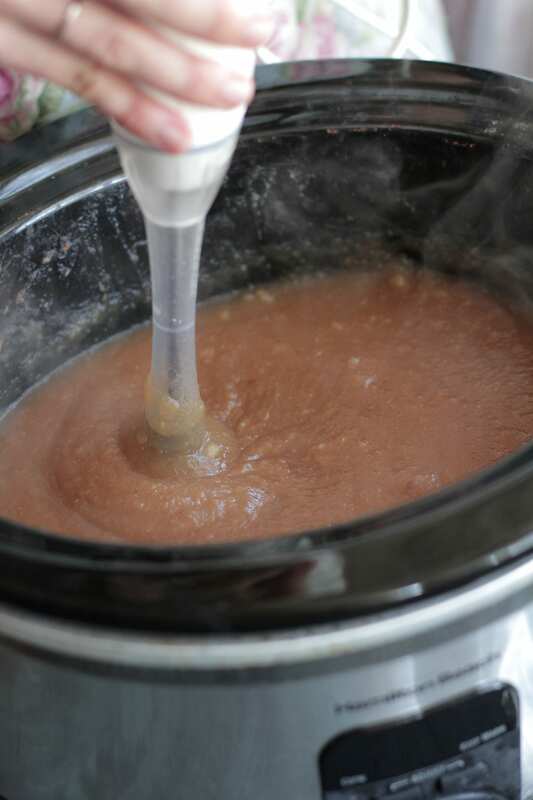 To make apple butter just keep cooking until the noticeable liquid is gone. Really fab on pancakes-use the fancy recipe for this one! 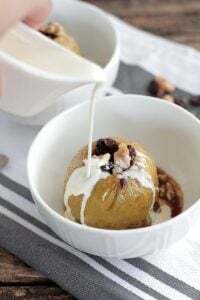 Will this same recipe work with pears instead of apples? Hey Rebeca, I’ve never tried this recipe with pears, but I’m guessing they could work. I may reduce the amount of water. Let me know how it goes. Looks like a great recipe! So it requires 14 cups of (peeled, cut, etc.) apple or 14 apples? Hey Naomi, Thank you. This recipe requires 14 cups of chopped and peeled apples. When do you add the water? Your recipe calls for 3/4 cup water but you don’t say when to add it. Assuming it goes in at the beginning when you start cooking? Thanks! Can’t wait to try this! Hey Hannah, Thank you catching this. I’ll edit the directions now. The water goes into the crock-pot at the beginning with the apples and other ingredients. Hi, I’ve just recently came across your blog & I love your ideas/ recipes. What kind of slow cooker do you use? I am in the process of buying a new one, but now have concerns about lead being in the glaze. Thanks. 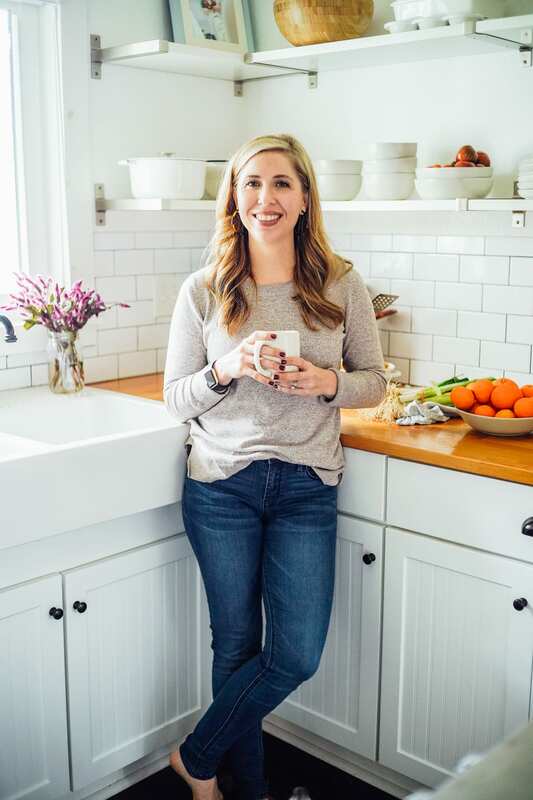 Hey Adria, Welcome to Live Simply! I’m so glad you’re here. 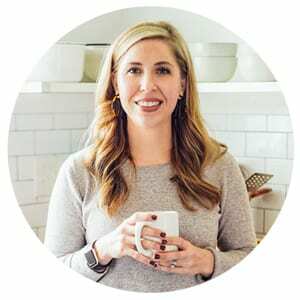 You can find a description, real life photo, and a link to the actual products I use in my kitchen, here: https://livesimply.me/shop/kitchen-tools/. I have a Hamilton Beach slow cooker and really enjoy it (although I haven’t done much research into the lead used in this brand). Hi, I have the apples cooking now, I was just wondering if it’s okay to blend the apples while they’re hot or about how long to wait for it to cool enough for the immersion blender. Hey Bethany, With an immersion blender you can blend the apples while they’re hot :). Enjoy!! It turned out great! It did make closer to 9 cups though, did you mean 5 pints? That’s just wonderful though, now I have a year supply of applesauce in one go! Hey Bethany, I’m so glad the applesauce turned out great! My apples are usually pretty small, so they yield around 5-6 cups. Larger apples will definitely yield more yummy applesauce. I don’t have a blender or immersion blender…any suggestions? Do you think I could use a mixer? Hey Rachel, I think a potato masher would work great. Or you can try a mixer! I’m late to the party but I just made the applesauce for our thanksgiving feast and it tastes awesome! Could you maybe update your recipe to include the instructions? I like to print my recipes and put them in my binder and a binder of our favorites I’m making for my daughters. Thanks! Maybe I should have been more specific with my above request…sorry. I tried printing the recipe and it only prints the ingredients. I’d love to have the whole recipe print up if possible. Thanks! Hey Christy, I’m so glad you love the applesauce. Hmmm, I’m not sure why the recipe isn’t printing. Let me take a look at that. This is my families favorite applesauce! Do you have any experience with freezing it? Hey Rachel, I’m so happy to hear that! Yes, this freezes great! I freeze it mason jars.